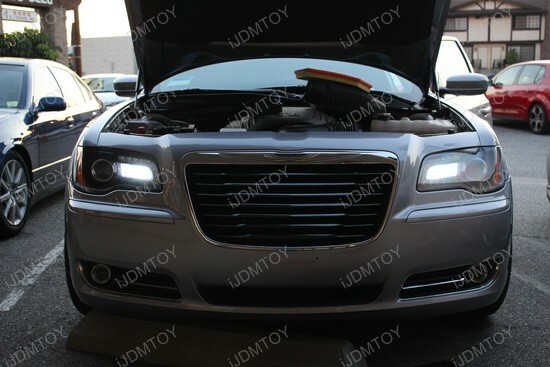 Updates and News about Chrysler for cars installed with iJDMTOY LED lights, HID lights and more. iJDMTOY is excited to announce…. We hope to see you there, friends! In the meantime, shoppers can still purchase lights from our website. We do apologize for any inconvenience this has caused. Thanks for all your support. Newer luxury cars nowadays come standard with HID headlights, with a classy xenon white pair of headlights and a crisp cut-off line. It seems that HID headlamps are synonymous with luxury now and many people opt to go the aftermarket route with an HID xenon conversion kit. This handy kit is the most sure-fire way to increase the output of your car’s headlights or fog lights so you can have better visibility at night. 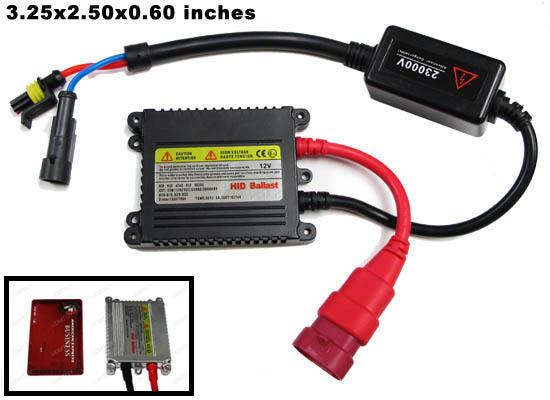 The HID Conversion Kit has a set of the most advanced ultra slim digital ballasts and a very straightforward installation process so that you can have a hassle-free installation. You can give your car a luxurious look without having to pay the full sticker price for an expensive European or Japanese car. Once you make the switch, you’ll kick yourself and wonder why you didn’t make the switch earlier. The ultra slim digital ballasts regulates the electrical current via embedded electronic chip so that the current is stable at all times. These ballasts have a reverse polarity protection system that greatly reduces installation related issues and improves the lifespan of your headlights. The best time to get an HID Conversion Kit is when there is a sale! There are a bunch of bulb sizes available as well as their complementary sizes. Here comes the best of the best, drum roll please! LED halo rings are still crowned the king of all lighting mods and ever since BMW first came out with halo rings on the E39 5-Series, the rest of the world exploded in unison of approval. Whether or not you have a Euro, JDM, or American car, it’s pretty much guaranteed that LED halo rings will make your ride look bomb all day, every day. I can’t think of another mod that is so universally accepted or popular. At SEMA, halo rings were everywhere and we gathered some of our favorites. The featured 2013 Chrysler 300 can really grab your attention when the turn signal lights start blinking with the super-cool PSY24W LED bulbs. 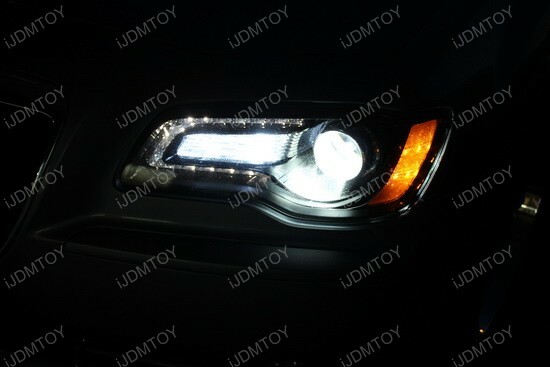 But before we proceed further with reviewing this awesome product, let’s pay some attention to the headlights. The jeweled C-shaped LEDs give the Chrysler 300 a distinctive, confident look, previously only seen in European luxury cars. And these PSY24W LED Turn Signal Lights are perfect addition to the whole headlight design conception. 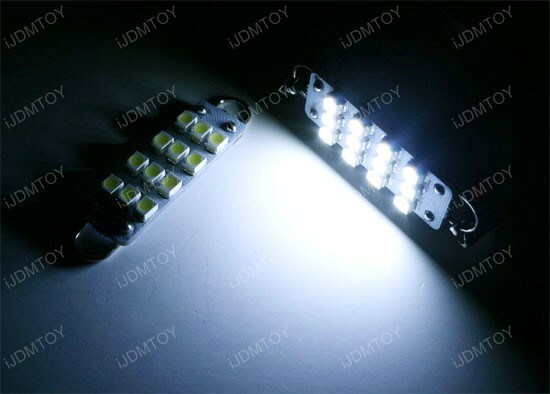 Each bulb has 18 pieces super brighter 3-chip 5050 SMD LED lights and amazing lighting output. The lifespan is extremely long – about 20000 working hours and probably one of the best things is that these LED bulbs have built-in Canbus – directly plug and play, no error message on dashboard and no hyper flash problem. 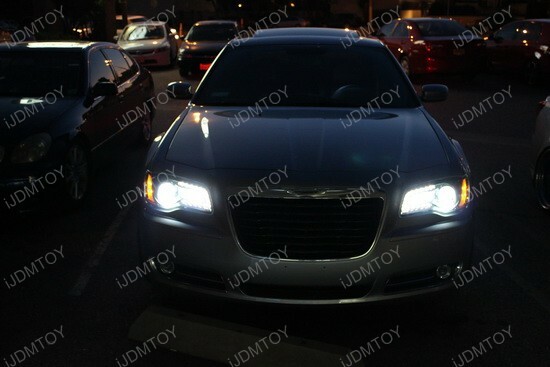 The PSY24W LED bulbs in action are fantastic and you can convince yourself just by looking at the pictures of this 2013 Chrysler 300. You can also pick from two colors – Xenon White and Amber Yellow to match your style. 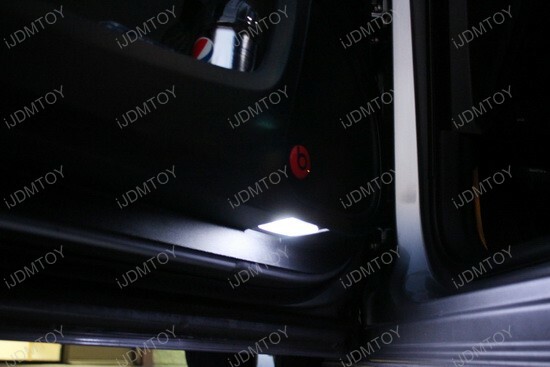 Anyway, all you have to do if you wish to increase the light output of your turn signals for enhanced safety and style is to get a pair of these amazing LEDs from iJDMTOY. Thanks to the genius design, these bulbs will perfectly replace vehicle’s original equipment and what’s more – no modifications are needed. 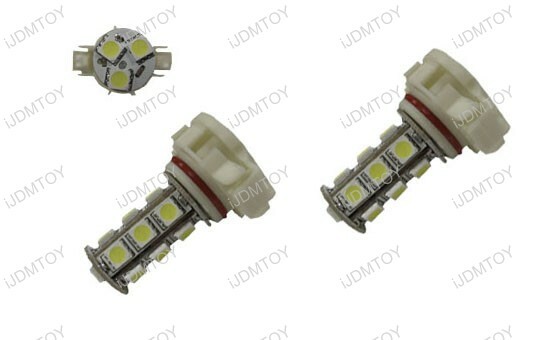 Just plug out the stock bulbs and replace them with the new PSY24W LED bulbs. They will also fit the 2009-2012 Volkswagen EOS, 2010-2012 Volkswagen Golf/GTi (MK6), 2011-2012 Volkswagen Jetta Space Wagon, 2011-2012 Volkswagen Tiguan and 2010-2012 Volkswagen Touareg. 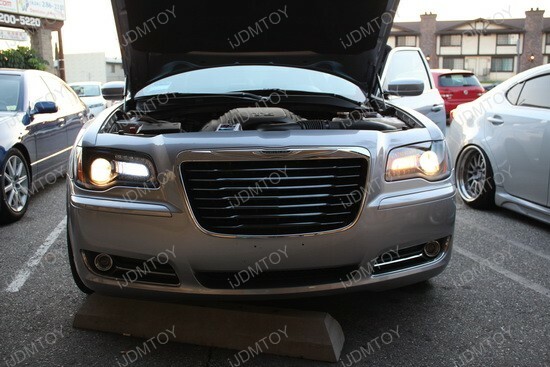 2013 Chrysler 300 – the car that has more doodads than you can shake a stick at, still has a few things that could be improved and one of them is upgrading the Turn Signal lights with the PSY24W LED bulbs from iJDMTOY. For just a few bucks you’ll make your car stand out from the rest and transform it into a real head-turner. 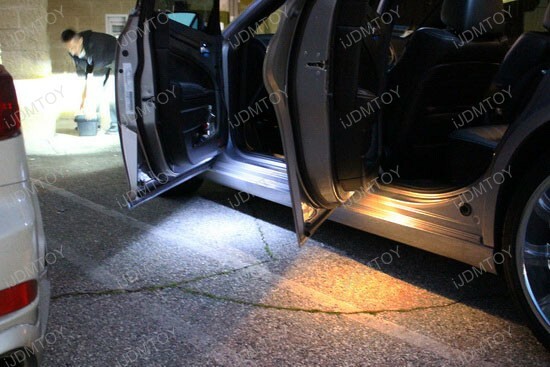 Brought to you by iJDMTOY.com, the expert for your Car LED. Follow us on Facebook for exclusive promo codes. The image-building 2013 Chrysler 300 is handsome and classy, but with these Rigid Loop LED lights, it turns into a gorgeous and classy luxury muscle car. Check out the featured Rigid LED Bulbs and see for yourself how such small LED upgrade gives the whole ride a brand new look. Even the sound-blasting 10-speaker Beats by Dr. Dre luxury sound system can’t "beat" the impression such LED upgrade gives. This great and innovative LED bulb was initially designed to replace the stock dull yellow bulbs, but thanks to its slim design, it will also fit most map lights, dome lights, trunk area lights and foot area lights. With a lifespan about 20000 working hours, it’s more likely for you to sell the car with these fancy lights still up and running, rather than they burn out. Installing the 12-SMD-3528 Rigid Loop LED package is a piece of cake. With the easy plug and play system you’ll spice up your whip in no time. A total of 4 pieces of Rigid Loop 579 LED bulbs are necessary to equip all four under door courtesy lights with shining new bulbs and once installed, you’ll notice the much brighter and vivid color of these energy-efficient LED accessories. Just hook the LED bulbs on each end and there you go – super bright light in just a few minutes. 2013 Chrysler 300 and 300C are the flagship models of the Chrysler lineup, they are more than just the largest sedans from the automaker and if you want to make your Chrysler unique, then you should definitely opt in for these fancy Rigid LED Bulbs. 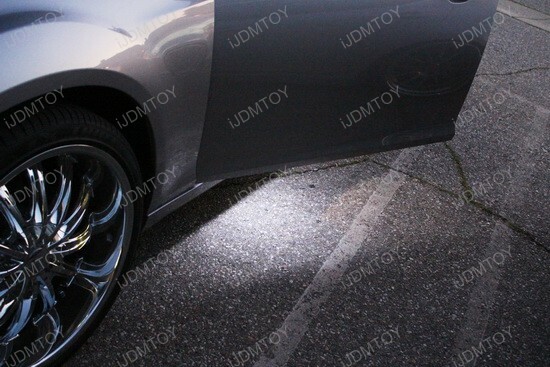 And for all you guys, who own Dodge Charger – this kind of Rigid Loop LED bulbs will fit for the foot area lights, too!